From our rich musical history and the best barbecue joints on earth, to beautiful historic homes and tree-lined streets, Memphis is a city unlike any other. It’s also a great city to call home. Memphis is one of the country’s most affordable cities and is experiencing revitalization across the city in many unique neighborhoods. Memphis is a fantastic place to live, work and play. If you’re planning on making a move to Memphis, or just looking for a rental in a new part of the city, here’s a look at five of the area’s top neighborhoods. Memphis is where I was born and raised, and as a property manager and renovator, I’ve worked all around the city and its surrounding areas. That’s given me a great opportunity to really get to know many different neighborhoods. While choosing the right rental property is important, choosing the right neighborhood is just as important. You want a neighborhood that’s conveniently located, fits your lifestyle and personality, and offers the type of rental you’re looking for within your budget. Here‘s a quick guide to help you determine which Memphis neighborhood is right for you. Overview: Located between Midtown and Germantown in close proximity to Interstate 240, East Memphis is a combination of bustling businesses and residential community. With both the University of Memphis and Crichton College located here, East Memphis is home to many students. There are also many unique boutiques, shopping centers, and dining options. We love the great green spaces like Memphis Botanic Garden, Dixon Gallery & Garden, and Shelby Farms. What Renters Need to Know: East Memphis is mid-priced for rentals, though rent trends upward in more family oriented areas. There are a lot of different rental options available in East Memphis—from studio and one-bedroom apartments as low as around $500/month, to townhouses and condos typically in the $1,000-$1,200 range, to a variety of small-to-midsize home rentals. Apartment complexes are typically on the older side, but if you are looking for a home with a little outdoor space, you can often find a place with bang for your buck. 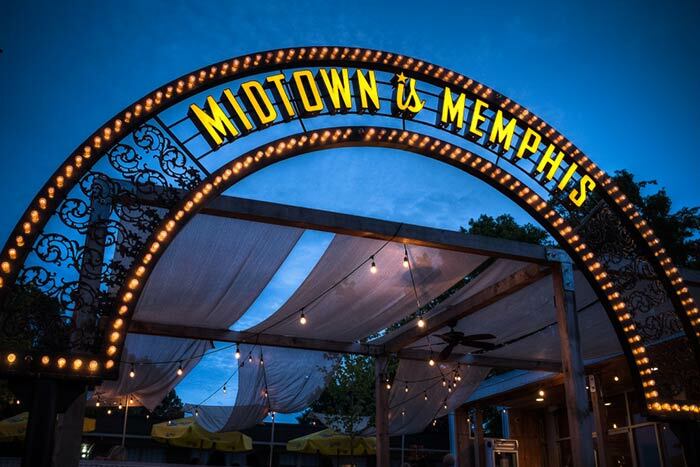 Overview: Located between Downtown and East Memphis, Midtown has experienced a revitalization in recent years. From The Beauty Shop to the Bar-B-Q Shop, Midtown has many unique restaurants. Overton Square is rapidly evolving and offers a bunch of great shops, restaurants, theaters and more. There’s also live music, active nightlife and a lot of cool places to check out—from the Brooks Museum of Art to one of the best zoos in the country. What Renters Need to Know: This is an incredibly diverse neighborhood with rentals ranging from basic and affordable (one bedroom for $400/month) to high-end (one bedroom for $1,250 month). Overall, the re-development of Midtown means that higher and higher rents will continue to be demanded over time. We think that within a few years, rental prices will be comparable to Downtown, especially on streets closest to the action. It’s been exciting to be a part of the growth of Midtown! Overview: Located on the Mississippi River, Downtown Memphis is where you’ll find Beale Street—the heart of Memphis music and entertainment. But there’s much more to Downtown. 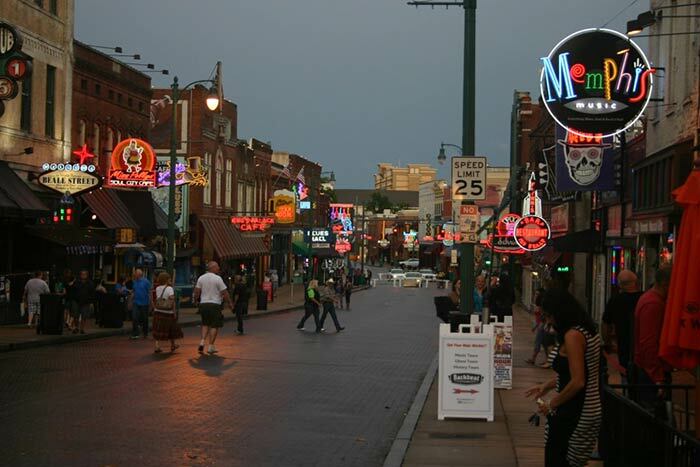 Covering 6.5 square miles, Downtown Memphis includes a mix of the residential and commercial areas. From the Medical District where many Memphians work to the luxury living of Mud Island, Downtown offers a lot of variety and a lot to explore. What Renters Need to Know: Downtown living is a little pricier, and the best rentals go fast. You might discover some cheaper options here and there, but mostly you’ll find studio and one-bedrooms rentals in the $900-$1,100 range in Downtown Memphis. What you sacrifice in green space you’ll gain in newer, pedestrian-friendly developments with desirable amenities like rooftop patios. There are some really unique rentals here with a lot of character, like the Paperworks Lofts in South Main. Overview: Located just outside the city, Germantown is only 20 minutes from Downtown Memphis. With a population of about 400,000, Germantown is a great place for families or those looking for a quieter lifestyle. In fact, the area was recently ranked one of the best small U.S. cities for working parents. Germantown has a lot of parks, sports complexes and green spaces, including Wolf River Nature Area and Bobby Lanier Farm Park. What Renters Need to Know: Germantown is a safe, upscale area to live. Many people choose to purchase homes in Germantown where lower property taxes are a draw, but it can be an excellent value for renters as well. Just be sure to factor in the cost of your commute when you calculate the savings of the suburbs. You can expect to pay around $900-$1,000 for a 2-bedroom rental in Germantown. Overview: Located east of Memphis, just past Germantown, Collierville is a suburb with a small town vibe. If the urban hustle and bustle of Downtown or Midtown aren’t for you, Collierville Town Square has the quaint feel you might desire, with charming shops, small restaurants and a beautiful green park that hosts summer concerts. Outside of the Town Square, there’s convenient access to many of the big box stores your suburban heart desires at The Shops at Carriage Crossing. What Renters Need to Know: Collierville is a safe and quiet area with good schools. This is a great option for families looking for a friendly community outside the city. Collierville offers a range of apartment, condo and home rentals ranging from mid-range to high-end—though you probably won’t find a ton of budget options here. Demand is not quite as high as the hip neighborhoods in the city, though, so you’re more likely to score a good deal. Sometimes renters gets so focused on the property itself, they forget to take a look at the environment around it. The phrase, “Location, location, location,” isn’t just for buyers. Factors from rush hour traffic to the local grocery store may end up meaning just as much to you, if not more, than what kind of countertops your rental home boasts. So check out the neighborhood before you rent to make sure it’s a good fit for you. The best way to do that is to explore. See which neighborhoods are appealing to you, or are located in ideal proximity to your workplace, and then get lost! Memphis is a fantastic city with a lot of great, unique places to live. With a little bit of exploration, I’m pretty sure anyone can find a neighborhood here they’ll love. 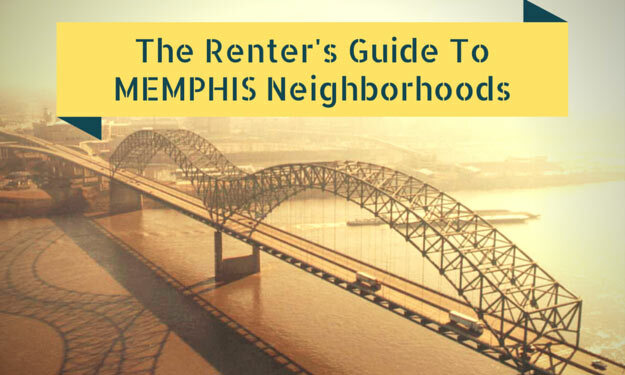 If you have questions about renting in Memphis, don’t hesitate to reach out. I’d love to help.